Before customers purchase your products or services, they like to have proof that others have already purchased your product and had a good experience. 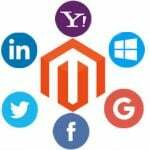 You could ask all your previous customers to email you with testimonials about their purchase and then manually add them one-by-one to your Magento 2 website. 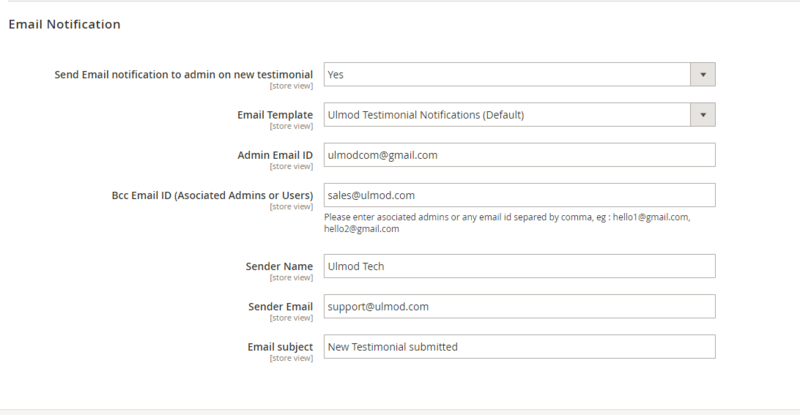 However, Testimonials extension by Ulmod can make it easy to collect testimonials via a clear submission form to your Magento 2 site and display them as grid, list or slide to make it more efficient. 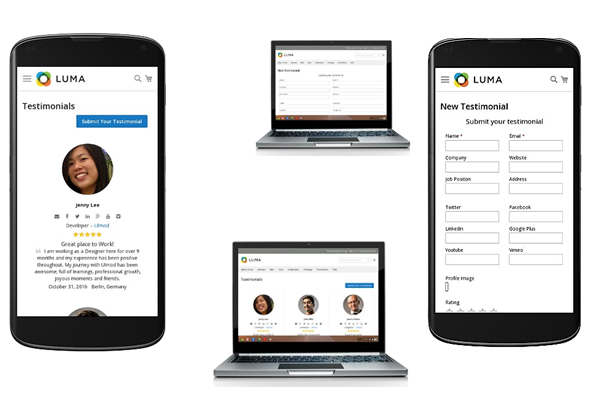 Fully responsive — meaning all your testimonials will look great on any screen and device. The Testimonials extension is a great tool to help you build trust with customers and increase sales in your Magento 2 store. 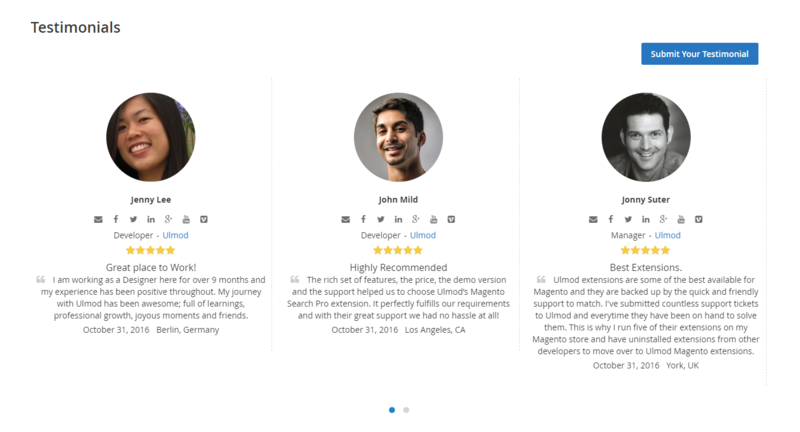 Three templates (List, Grid, and Slider) and 4 Layout pages, to display your desired testimonials. 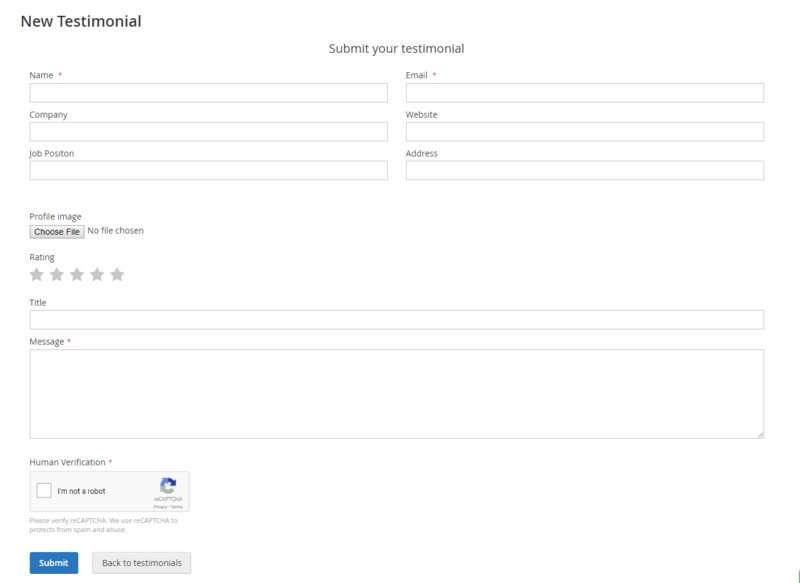 Testimonial submission form on a new and dedicated page, including four layout pages, Google reCAPTCHA, social media options (facebook, twitter, LinkedIn and more), additionals options like customer company, website, job position, address and more. 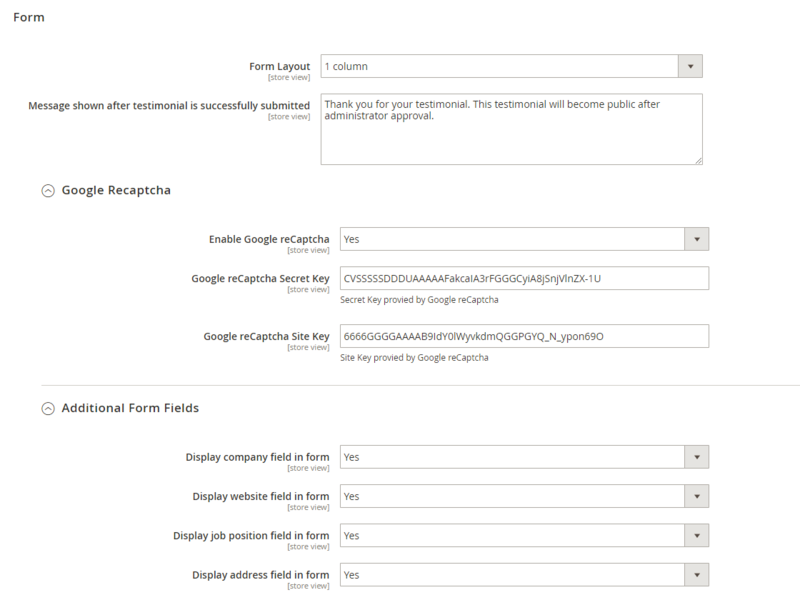 Easily configure and manage testimonials in the admin panel. 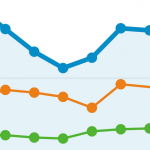 Fully responsive to mobile devices and support multiple websites, stores, and store views. The extension settings consist of five areas – General settings, page, sidebar, form, and email notification. – The General section provides you with an option to automatically approve testimonials after submission, add testimonials link to the top-links and footer. 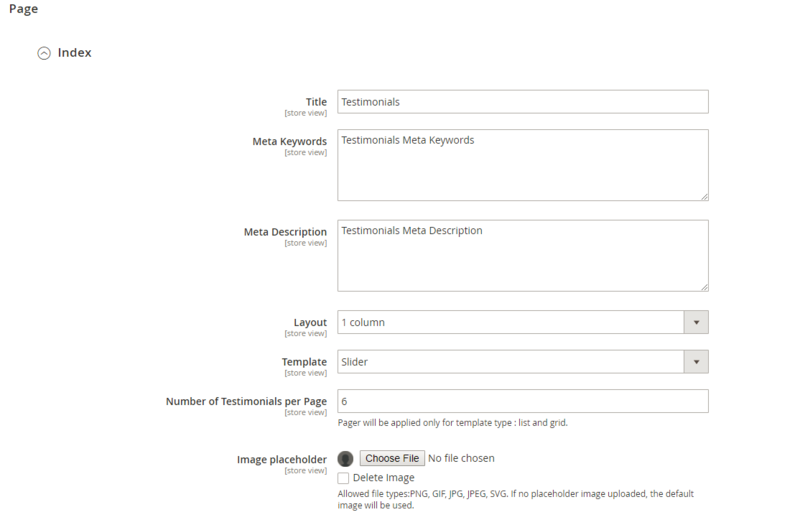 * Index: allows you to specify the metadata (title, description, and keyword) of the main testimonial page, the layout of the page, the template to display your testimonials (grid, list or slide), the number of testimonials to show per page and the testimonial image placeholder. * Additional: allows you to show or hide testimonial additionals data such as customer or visitor email, company, website, job position or address. 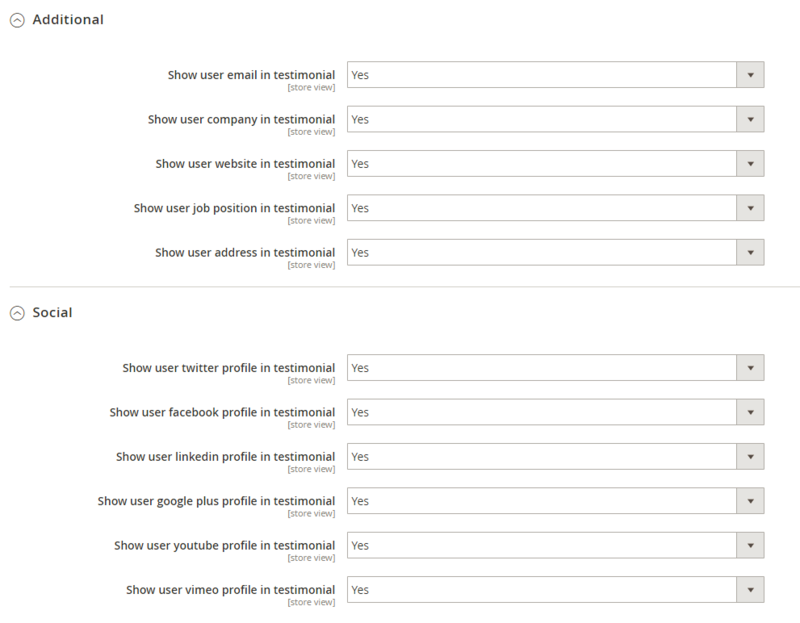 * Social: enabling you to show or hide social networks such as Twitter, Facebook, Linkedin, Google+, Youtube or Vimeo. – Email notification section provides you with options to enable or disable the notification feature, set email template, specify admin emails and bcc emails ids, specify sender name, sender email, email subject specify. View testimonial details, name, email, rating, and author information. The extension allows showcasing your testimonials as a list, grid or slide, allowing customer and visitors to get to know that you are a credible business. Submit a review to your online store. Attest they are human without having to solve a CAPTCHA. The widgets feature enables you to place testimonials in any pages and position, allowing customers and visitors to navigate through the latest or random testimonials on any page of your website. The mobile-friendly design, allows customers and visitors to view and submit testimonials on tablets and smartphones. Testimonial list, grid, slide, and form look great in all screen size or device. 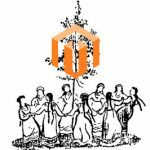 The Testimonials extension for Magento 2 by Ulmod give you the opportunity to point out compelling reasons why customers should buy from you. 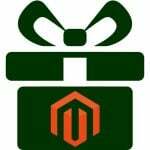 It’s a great tool to add social proof to your Magento 2 site and convince your visitors that they can trust you. 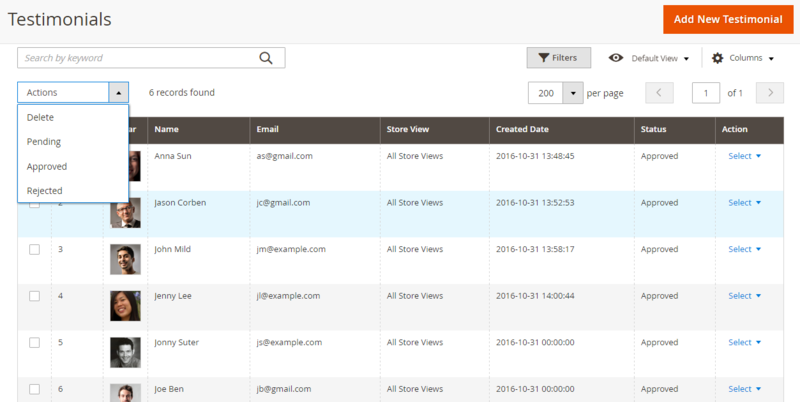 The extension is easy to configure and use for both store administrators and customers. You can purchase it for $79. Come with lifetime updates and 1-year free support. You will get an extension free support service during the specified period. Further support renewals (optional) will cost you 70% less.